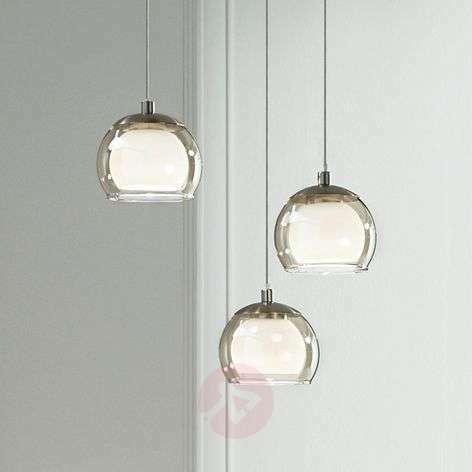 Ascolese – the name given to this magnificent hanging light – impresses with its three stylish lampshades, which stand out thanks to their two-layered glass look. The outer glass lampshade is transparent; whilst the smaller, inner glass lampshade has a satin finish. The result is a wonderfully elegant and glamorous look and very even lighting – the light emitted by the built-in LEDs is filtered by the satin glass so that it is evenly dispersed into the room in question without glare. 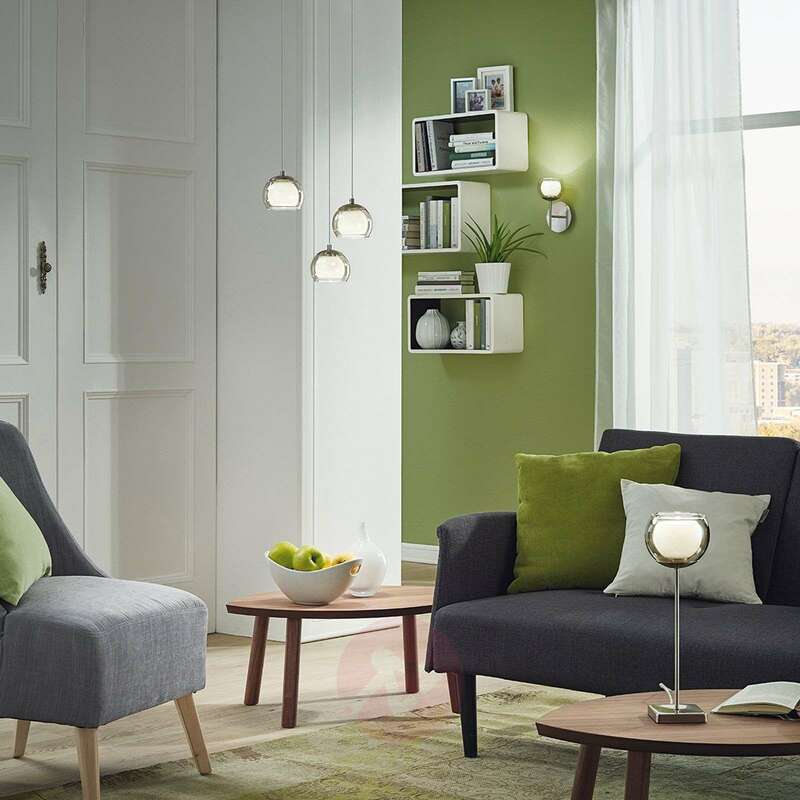 Overall, the light creates a very pleasant lighting atmosphere in the room. 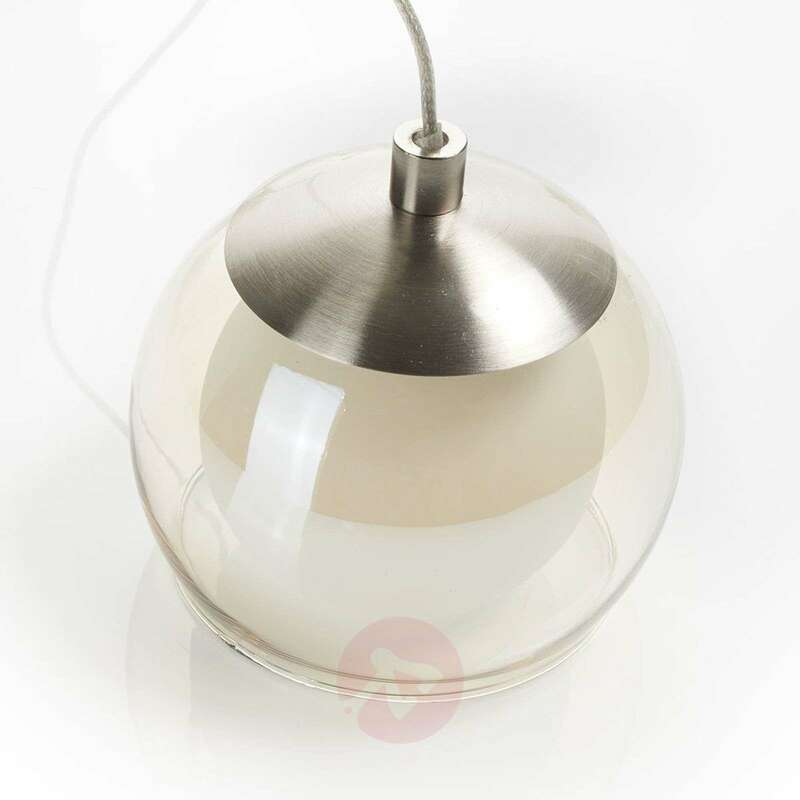 Does the 21cm diameter refer to each individual glass shade or the diameter of the ceiling fitting? thank you for your question. 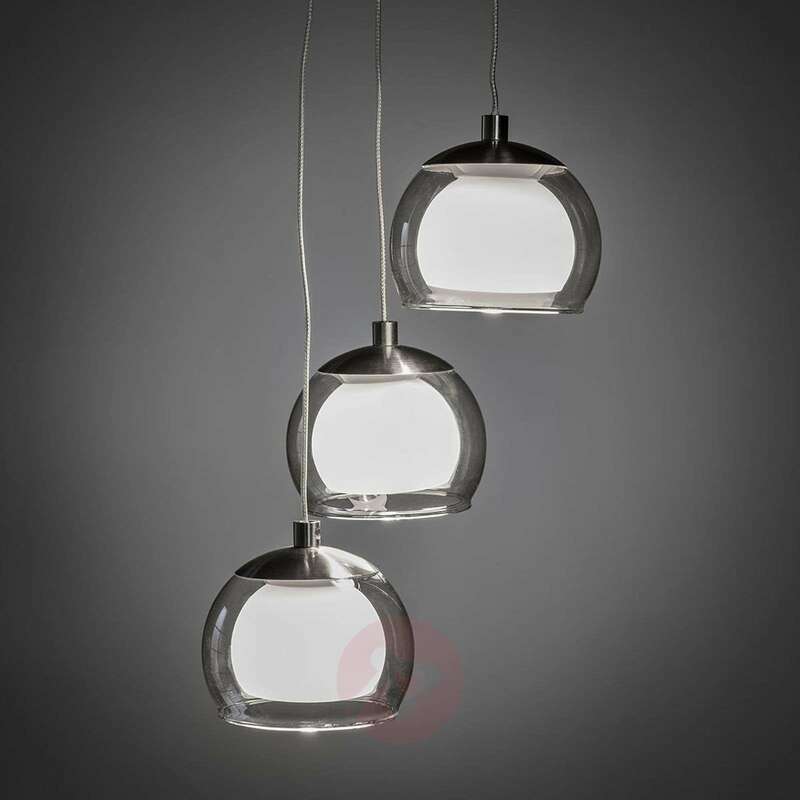 Each glass shade is 10 cm in diameter. The 21 cm diameter is an approximate diameter of the lights hanging space. The light drops come in 3 different sizes. The 110 cm will only to one of the drops including the mounting plate. The 3 different drops are as follows: 96 cm / 86 cm / 75 cm. The difference of 14 cm refers to the height of the mounting plate. Do you stock a wall light to match? We do not have a wall light to match this pendant light made by EGLO.